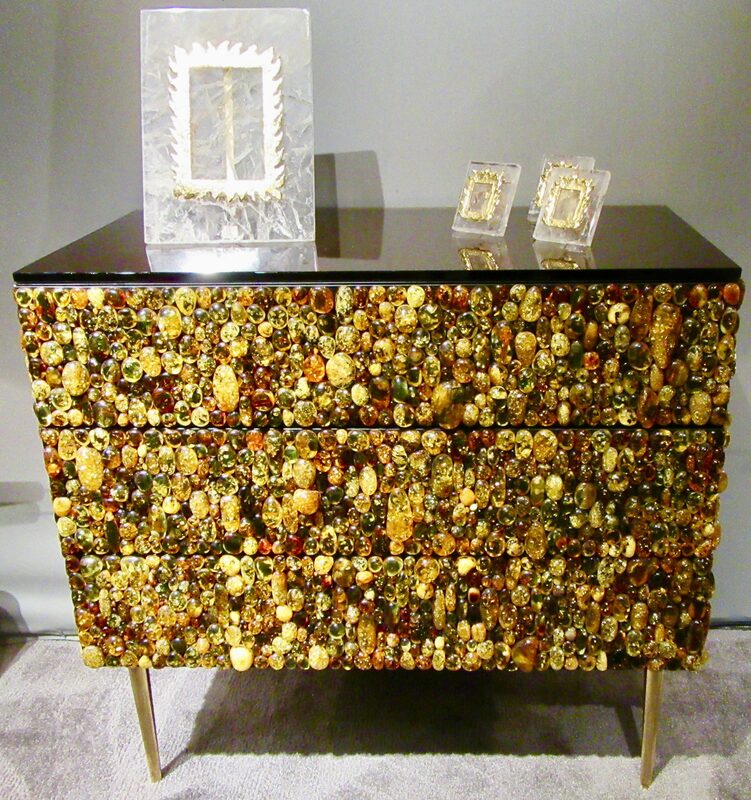 I saw many, many breathtakingly beautiful things at The Salon Art and Design show at the Park Avenue Armory, and one of most unusual items, which I am sure I will never forget, was this three-drawer dresser by designer Kam Tin, which is covered on three sides in meticulously curated pieces of genuine Baltic Amber. Have you ever seen anything like that? For this dresser, which Tin creates to-order so that no two are alike, the natural amber pieces are polished and mounted on the dresser’s wooden frame, fitted with brass legs, and topped with a plate of Italian tinted glass. The piece measures 27.5ʺW × 19.7ʺD × 31.4ʺH. 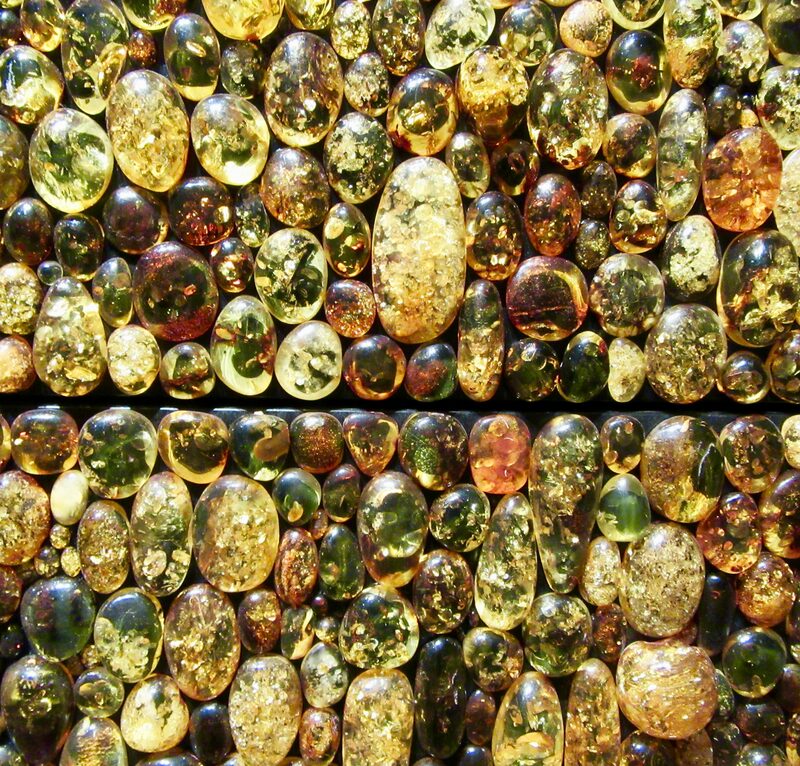 Each piece of amber was hand-selected for its color and inclusions. 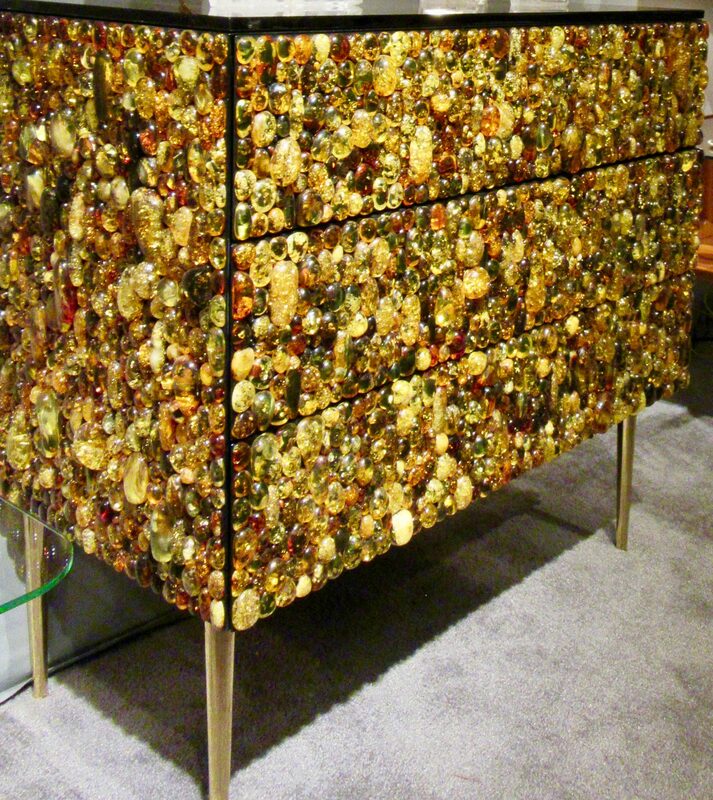 This chest of drawers has a retail price tag of $57,000. 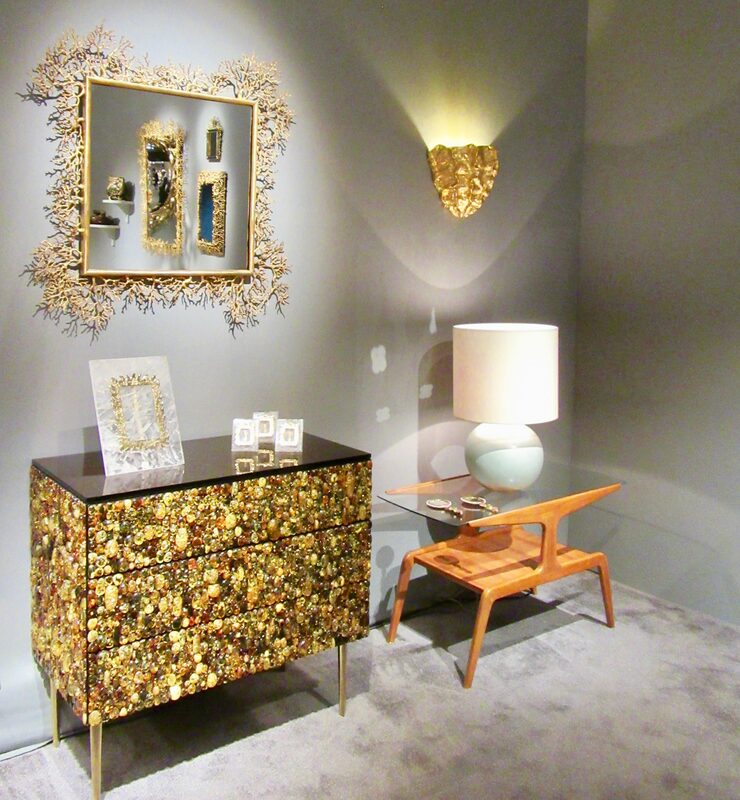 Designed by Kam Tin for Maison Rapin at Decaso, Paris, France.